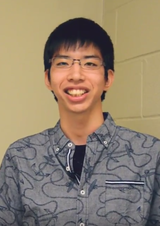 bonobono, or bonobo, depending on Romanization, is a strong Smash 64 player who is considered to be one of the best Yoshi mains in Japan along with Kurabba, Hiyo and Prince. He notably placed 5th at both Kansai 2015 and Kanto 2015, losing to Fukurou at the former, and to top player wario at the latter in relatively fast set. His tag in Japanese is ぼのぼの. For various reasons, players criticized his play on the NicoNico stream, mostly due to his campy nature compared to most of the other smashers there. He attended his first out of country event, Super Smash Con 2016, with 3 other Japanese players: Prince, Kurabba, and Jigglypuff player wangera, after a fundraiser. He finished at a disappointing 17th place, the lowest of all the Japanese players, losing to Revan (getting 5 stocked in game 1) and Zero. He was formerly ranked 20th on the 2016 64 League Rankings. Kanto 2018 May 5th, 2018 17th ? ? This page was last edited on January 9, 2019, at 17:21.